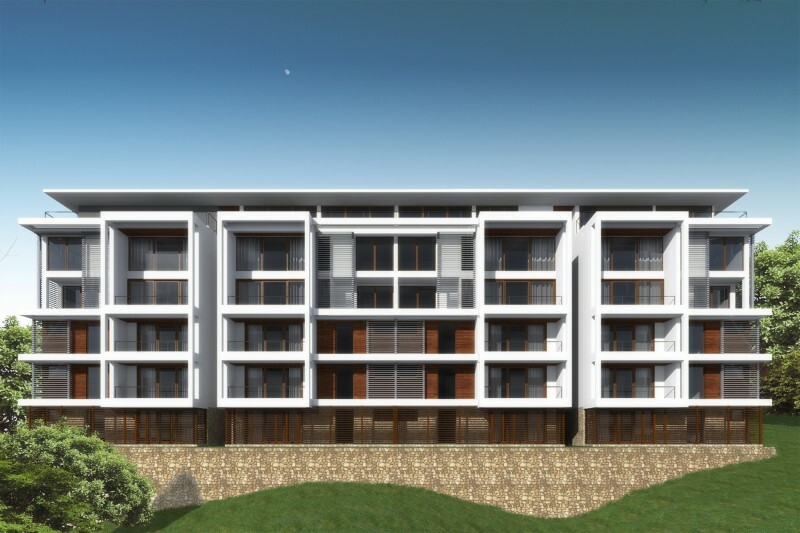 A series of large, contemporary designed apartments on a hillside site overlooking Kingston. The design is a fairly low density scheme for the size of the land. It is focused on creating a narrow footprint to minimize the amount of excavation required, and hence uses a stacked model of 2,000 sq. 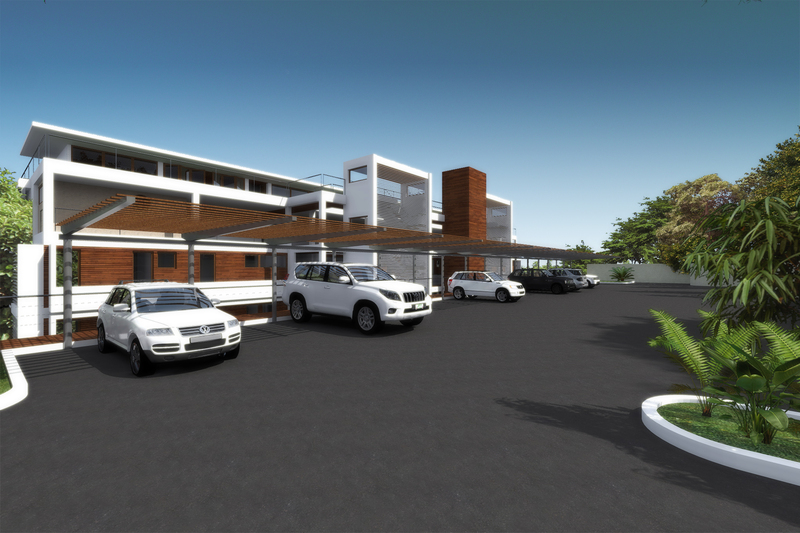 ft. two bedroom apartments and 3,500 sq. ft. three bedroom loft apartments.